If you’ve already taken the plunge and installed iOS 5 on your iPhone, iPad, or iPod Touch, you can now jump right onto the LSUHSC wi-fi connection more easily than ever. ÔÇó	You should now be connected! If you do not have iOS 5, please refer to the instructions for iOS 4 or earlier to use the LSUHSC wi-fi. Wondering whether you can upgrade to iOS 5? Check this link for the list of compatible devices. iMedicalApps.com has updated their list of free top medical apps for iphone and raised the number to 20. The list is a mixture of news, point of care resources, and non medical but useful apps for iPhone and in some cases, iPad. LSUHSC has an extended subscription to Micromedex, while the free app SkyScape also runs our subscription to Dynamed and Natural Standard. Email mknapp@lsuhsc.edu for install information. Also listed is ePSS – a public health tool from AHRQ that displays screening measures derived from the USPSTF based on patient demographic information, and Doximity, a “Facebook for doctors” – for those that need yet another social networking service. Although it’s a little annoying to have to click through 20 pages to see them all, it’s a good list (and you can’t beat the price). 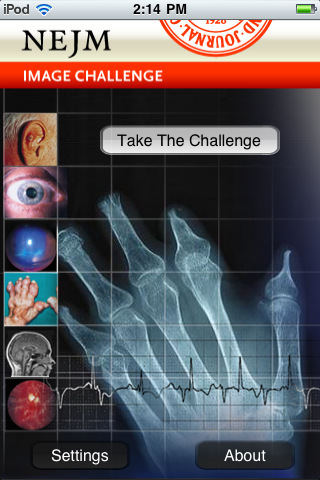 The New England Journal of Medicine has just released a new app version of their popular “Image Challenge” weekly email feature. Test your diagnostic and visual skills any time, any where with this $2.99 application. 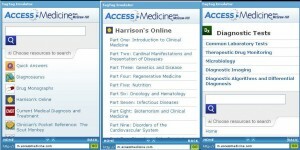 imedicalapps.com is reporting that Kaplan publishing, producers of such favorite books as Kaplan Medical USMLE Step 3 Qbooks is offering 19 FREE medical books via the Apple Bookstore until August 30th. You may not have the Step on your radar right now, but rest assured, time marches on. This offer ends August 30th, so get your books while you can! Epocrates is offering a free download of their Essentials package (usually $159) for medical students until August 31st. Users must have iPhone?«/iPod?« touch, BlackBerry?«, Palm OS?« or Windows?« Mobile platforms – Palm Pre & Android users are out of luck. We aren’t sure what the catch is, but you know how the saying goes, you can’t get something for nothing. Looking for a mobile app to diagnose musculoskeletal injuries and disorders? Clinically Relevant Technologies has developed an application for both iPhone and Android which includes descriptions, demonstrative video clips, and references from the medical literature for over 200 musculoskeletal diagnostic tests. 3) The test would be performed by the clinician or as part of clinical evaluation (not include laboratory or diagnostic imaging tests for example). At $39.99, this app isn’t the cheapest, but as iPhone App review points out, “an equivalent text would cost several-fold more and cannot offer the same portability and ease of use”. 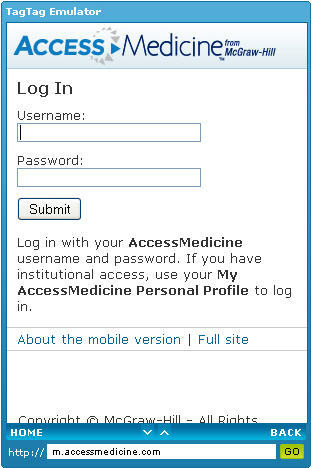 For screen shots and more info, check out i Medical Apps. Access NEJM This Week on iTunes. A marketing survey by SDI Health, has been making the news rounds. According to the “Mobile & Social Media Study: PhysiciansÔÇÖ Views of Emerging Technology Survey,” 30% of physicians have used a smartphone to access medical applications. Of the physicians who own a smart phone, 95% have downloaded a medical application. The most popular applications were: Epocrates, Medscape, and Skyscape. The study was conducted in October 2009; I wonder how much those numbers have jumped in the last 8 months. For more information on mobile resources, check out the Libraries’ guide. May’s issue of Clinical Infectious Diseases features a column on infectious diseases resources for the iPhone. You can read the entire article here. Two apps that may interest students are Microbiology Wiz with Immunology ($0.99) and Lange Microbiology and Infectious Disease Flash Cards ($34.99). Both are flashcard style review applications, allowing you to study microbiology on your iPhone.